They are almost ready to start at Portman Road with Manuel Pellegrini starting with what many believe is his strongest XI at present. 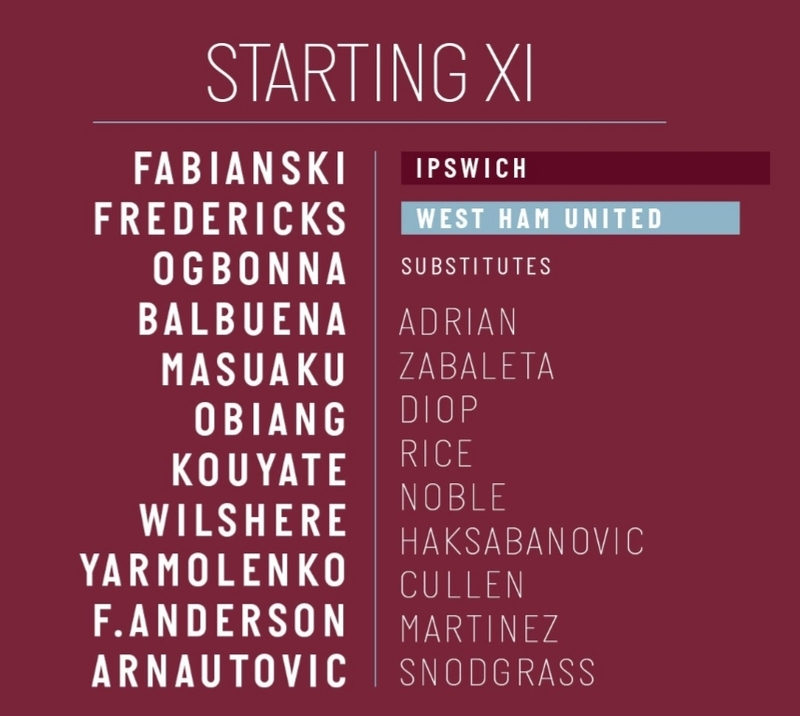 The side would readily fit into the 4-2-2-2 formation that the Chilean favours with Kouyate and Obiang in front of a back four where youngsters Diop and Rice give way to Balbuena and Ogbonna. Arnie is captain for the day. 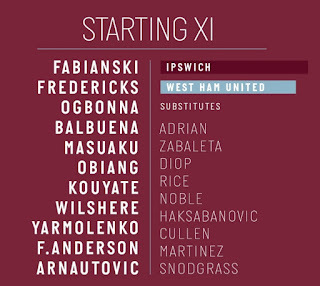 Just how much a fit Antonio, Reid and Chicharito might impact upon this starting XI is debatable.